You can make a still photo from a video by extracting a single frame from the video and saving it as an image file. Most video editing software includes a feature to do this, but there is a huge disparity in which video formats are supported by each video editor, so I’m going to recommend a specific method to make still photos from video that should work no matter what video format you have. The most reliable solution I know of for saving still photos from a video is to use VLC Player, which is a free media player software capable of playing virtually any video format. Step one in getting your still photo from video is to download and install VLC Player. VLC Player works for Windows, Mac OS X, and Linux, so it’s a fairly universal solution. VLC may ask you to be the default video player for your computer during install on Windows, so if you already have a favorite video player, be sure to opt out of making VLC the default. After you have VLC Player installed, the rest of the process is quite simple. Open the video you want to save a still photo from. 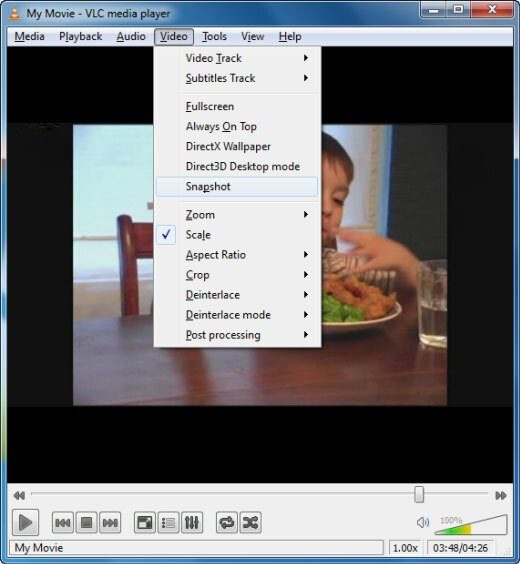 On the Video menu in VLC Player, choose Snapshot. 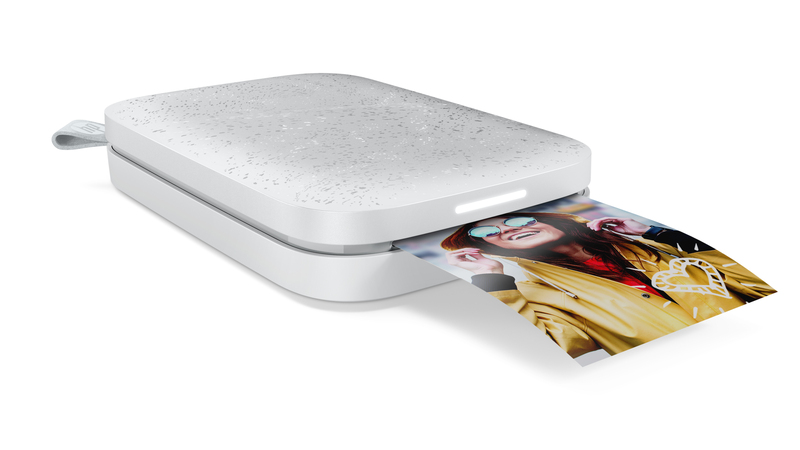 This automatically saves a still photo from your video into the Pictures folder on your computer. The photo will be the same size as whatever the full resolution of the video is, so if you have an HD video the still will likely be either 1280×720 or 1920×1080. Smaller videos will have smaller sized still photos. Keep in mind these photos probably won’t be great for printing, unless you have a 1920×1080 video, because most video resolutions aren’t really designed for print.